Hannah Arendt’s political theory rocked the 20th century with "the banality of evil." 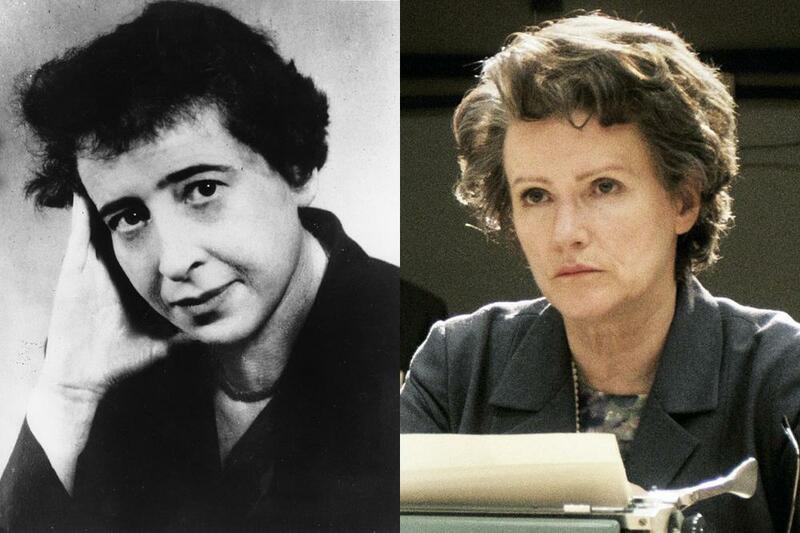 A new movie looks at the life and mind of Hannah Arendt. The towering German-Jewish émigré intellectual Hannah Arendt stared into the face of the Nazi and saw the banal. "The banality of evil," she famously wrote in 1963, covering the trial in Jerusalem of Nazi Adolf Eichmann. An unthinking drone who implemented the Holocaust. A personification of the 20th century’s banal inhumanity. But there was nothing banal about it to many of her fellow Jewish survivors. Arendt's depiction fueled furious debate. A new film brings it back. Up next On Point: The great mind and great notoriety of Hannah Arendt. Pamela Katz, screenwriter for "Hannah Arendt." She co-wrote the script with the films’s director, Margarethe Von Trotta. Natan Sznaider, professor of government and society at the Academic College of Tel Aviv-Yaffo and author of "Jewish Memory And The Cosmopolitan Order: Hannah Arendt And The Jewish Condition." The New York Times: The Woman Who Saw Banality In Evil -- "Fifty years ago, a small book called 'Eichmann in Jerusalem: A Report on the Banality of Evil,' by a New School philosophy professor named Hannah Arendt set off a storm like few books before or since." The Guardian: Hannah Arendt's Challenge To Adolf Eichmann -- "One thing Arendt certainly did not mean was that evil had become ordinary, or that Eichmann and his Nazi cohorts had committed an unexceptional crime. Indeed, she thought the crime was exceptional, if not unprecedented, and that as a result it demanded a new approach to legal judgment itself." The Paris Review: Lonely Thinking: Hannah Arendt On Film -- "Although Arendt’s work follows numerous byways, one theme is clear: in modern bureaucratic societies, human evil originates from a failure not of goodness but of thinking." The New Republic: Women And Others -- "A question persists: Was it worthwhile to make a film about Arendt when the only dramatic point is this bygone Eichmann controversy? To try to render Arendt as a philosophic heroine? It’s a struggle." The New York Times: How It Looks To Think: Watch Her -- "My only real problem with 'Hannah Arendt' is that it’s not a mini-series. Arendt was a writer of long books and a maker of complex arguments, so the two hours of Margarethe von Trotta’s ardent and intelligent film about her are bound to feel somewhat superficial." This program aired on May 31, 2013.